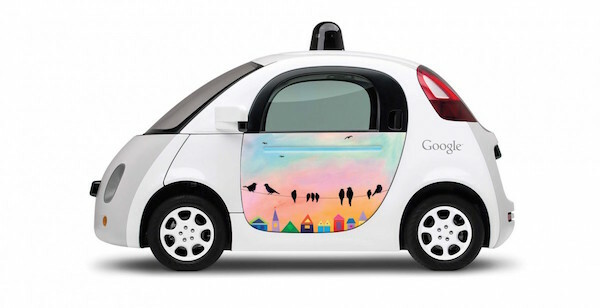 Home/Car Buying/Are Autonomous Cars The Future Of Automotive? Although no one can predict the future with 100% accuracy, many industry experts believe autonomous vehicles will one day become the future of automotive technology. As technological advances hurtle forward at a rapidly accelerating pace, a growing number of high tech manufacturers, such as Alphabet’s Google, and Tesla, have worked to develop self-driving vehicles. 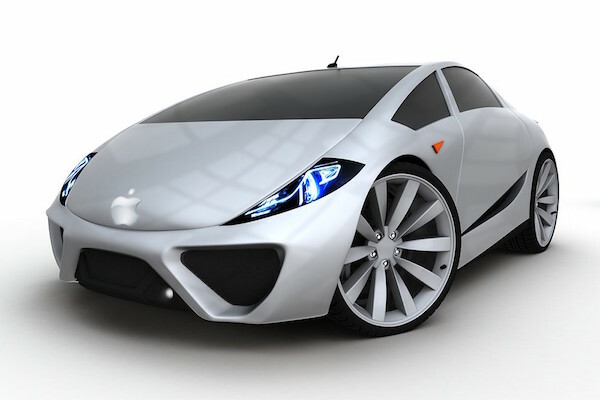 Even Apple, best known for iPhones and iPads, is rumored to be working on a self driving car. Speculation exists that several international automakers have begun quietly researching this competitive field also. Several important trends have contributed to the popularity of the self-driving car as a concept. First, automakers began transforming the nature of automobiles. Once viewed largely as functional products intended to promote transportation from point A to point B, these products today increasingly serve as mobile offices and entertainment centers. Manufacturers have begun installing impressive high tech capabilities in cars and light trucks. A “smart” vehicle equipped with satellite systems and Internet connectivity actually instructs a driver how to navigate towards a desired destination, for instance. Just as Millennial consumers have become accustomed to using a phone for more than telephone calls, high-tech automobiles during the modern era offer more amenities beyond transportation. Second, the rise of the Internet of Things (“IoT technology”) has placed a renewed emphasis upon robotics. Once the stuff of popular science fiction, sophisticated robots today already perform numerous functions in society. As drones, they hover in the sky recording information. As disaster relief tools, they burrow through mounds of debris helping first responders locate trapped survivors. As ATM machines, they complete sophisticated financial transactions accurately for customers in the absence of human tellers. Indeed, automated, intelligent machines have increasingly attained significance in modern society. Combining a new purpose for “smart” automotive technology with robotics seems a natural development to some extent. Already, computers have demonstrated the ability to perform mathematical calculations more rapidly and precisely than human beings. They might indeed in the near future assume the task of driving, processing a myriad of directional calculations rapidly within seconds, freeing human occupants in a vehicle to relax or conduct business while their automobile seamlessly trundles towards its destination. Why does this scenario appear likely? For one thing, some very astute business investors have already begun sinking money into research designed to furnish widely-applicable utilities and accessories to autonomous car makers. Just recently for example, Ford and venture capital firms reported that they had invested some $6.6 million in Civil Maps, a startup hoping to transform data obtained from vehicle sensors into digital maps suitable for use by artificially intelligent machines. These types of expenditures suggest that many industry leaders hope to achieve significant financial benefits investing in autonomous automotive technologies. Of course, several obstacles still stand in the way of the popularization of machine-operated vehicles. Sadly, Tesla Motors recently revealed that a few months ago, the first human self-driving car fatality occurred during testing of its innovative Model S Autopilot System. In an accident still under investigation by the National Highway Traffic Safety Administration, both a driver using the automated system and the equipment failed to distinguish a tractor trailer in time to avoid a collision. New traffic regulations also pose a stumbling block for the advent of driver-less vehicles. While some jurisdictions may permit designated lanes for autonomous cars, automakers will need to “idiot-proof” their robots to prevent inadvertent accidents with hapless human drivers. Even though computers will take the most effective precautions to avoid accidents, people do not always demonstrate good sense on the road. For instance, despite years of highway carnage and thousands of fatalities, a shockingly high number of impaired drivers still travel over public roads, especially at certain times of night. Another troublesome factor awaiting public debate in the near future may also prove decisive in determining whether or not self-driving vehicles become a widespread reality soon. Although some forecasters predict the arrival of these robotic cars in many cities within four years, human regulators have yet to develop rules answering complex legal questions involving liability and insurance. How will courts allocate responsibility when autonomous vehicles crash into property, kill people or cause multi-car pileups that injure human drivers and passengers? While self-driving robotic cars currently do maintain a significantly better safety record than human drivers, far fewer of these vehicles have tackled real-world driving conditions to date than automobiles driven by humans. Insurers may lack the ability to accurately evaluate performance records in the absence of extensive data. While some states have granted permission to autonomous car manufacturers to test their vehicles on public streets, authorizing routine driving may require extensive new legislation. The process might face some rigorous legislative hurdles. Meanwhile, many highly respected automakers and technology firms strive to develop the best new autonomous vehicle. Many analysts believe Alphabet’s Google may currently occupy a leading position in the race, thanks in part to its rich storehouse of mapping technologies. The firm recently partnered with Fiat Chrysler Automobiles to develop a fleet of new autonomous minivans. Yet other analysts, such as the firm Navigant, have ranked Daimler in first place in producing self-driving vehicles equipped with sophisticated sensors and computer technologies. The German automaker, and several others firms, independently worked on advanced automotive technologies to automate many driving tasks. Audi of America also recently launched a self-driving vehicle with advanced autopilot capabilities. It plans to introduce an even more sophisticated model in 2018, a car with the ability to complete over two thirds of driving functions on autopilot. A Chinese company named DiDi recently attracted significant investment dollars from Apple and several venture capital firms to develop a cutting edge autonomous vehicle, also. Partnerships between large high tech firms, ridesharing companies and an international list of automakers may soon command greater public attention. As many companies enter the race to create a popular self-driving vehicle, the future of this industry trend appears indistinct.